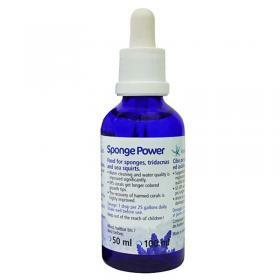 Special food for sponges, clams and sea squirts. Enhances the growth of sponges and ascidians supporting their characteristic activities of filter feeders and, consequently, significantly improving water quality. The SPS will have longer growing tips and colorful. SPS in the color purple is stimulated and made more brilliant. Even the healing of damaged corals will be faster.